a new look by Rick and Zef for 2k10. it's still being worked on, but take a look and give us feedback. anything from the look to the function. thanx! Yeah these new requirements are really interesting to do! Just a small typo on the Jay Anthony quote - ia instead of is. Damn, those requirements are tough now! lol, didnt even see the typo until the fifth time I read it. Yeah, lol! I do editing jobs on the side here in Korea, everything from research papers to newspaper articles. Lots of fun! Nah, no patience Metin, I could see that mistake from a mile away! LOL! It's my job - I've done so much editing over the years that I subconsciously find and correct errors in everything I read, even my mom's e-mails! lol! 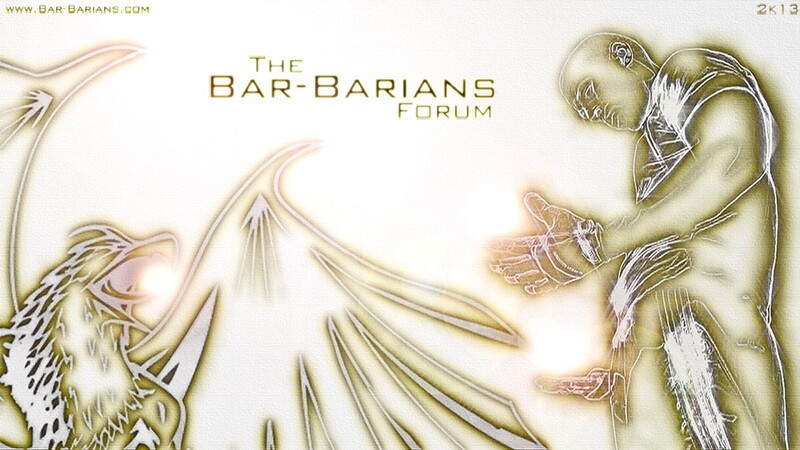 Anyway, I just want the Bar-barians to have a perfect website - perfect like the moves they all do! 5. and 5 Muscle Ups, within 6 mins. Found another typo, the e is missing. thank u guys. must've been a 2am mistake! lol gonna get on it tonite when i get back. most appreciated!!! p.s. I got the SICKEST footage of Beast's new move yesterday! uahahah!!!! u won't believe... no one can do it!! imma post it up soon! 2k10!! Baaaaahhhh i cant wait man! Post it here too not only on youtube!!! Nice find Taiga! Future editor? LOL! Can't wait to see Beast's move and Andy's requirements! Again, the website looks great! Always excited to see more of Beast's moves! Are the words to dark? hey barbs! when will be the store available?? we're gonna be working on a whole new site. we'll keep ya'll posted! Subject: Re: The New Website!